What’s more shocking is that, according to cybersecurity journalist Brian Krebs, in some instances, the company has been storing these passwords without securing them since 2012. 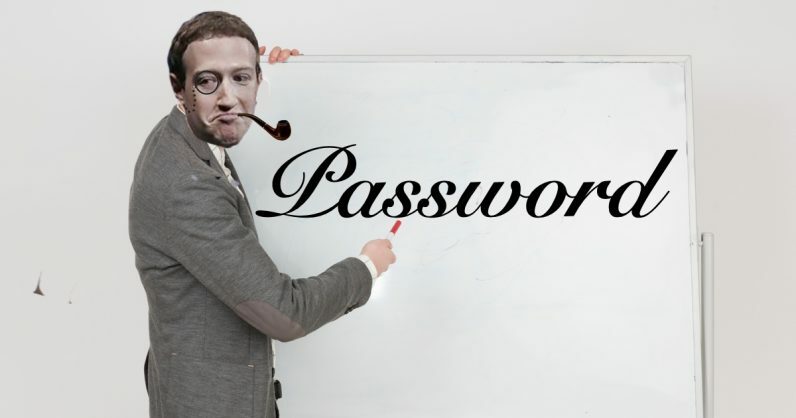 My Facebook insider said access logs showed some 2,000 engineers or developers made approximately nine million internal queries for data elements that contained plain text user passwords. We’ve not found any cases so far in our investigations where someone was looking intentionally for passwords, nor have we found signs of misuse of this data, In this situation what we’ve found is these passwords were inadvertently logged but that there was no actual risk that’s come from this. We want to make sure we’re reserving those steps and only force a password change in cases where there’s definitely been signs of abuse. While the social network is internally investigating the issue, it’s baffling that it’s not forcing users to change the passwords to prevent any future abuse. You should definitely change your password if Facebook’s notified you – and enable two-factor authentication while you’re at it (here’s how). Just a few weeks ago, Mark Zuckerberg wrote a massive post on how Facebook wants to become a privacy-focused company. This certainly doesn’t inspire confidence in the new direction. TNW Conference 2019 is coming! Check out our glorious new location, an inspiring line-up of speakers and activities, and how to be a part of this annual tech bonanza by clicking here.